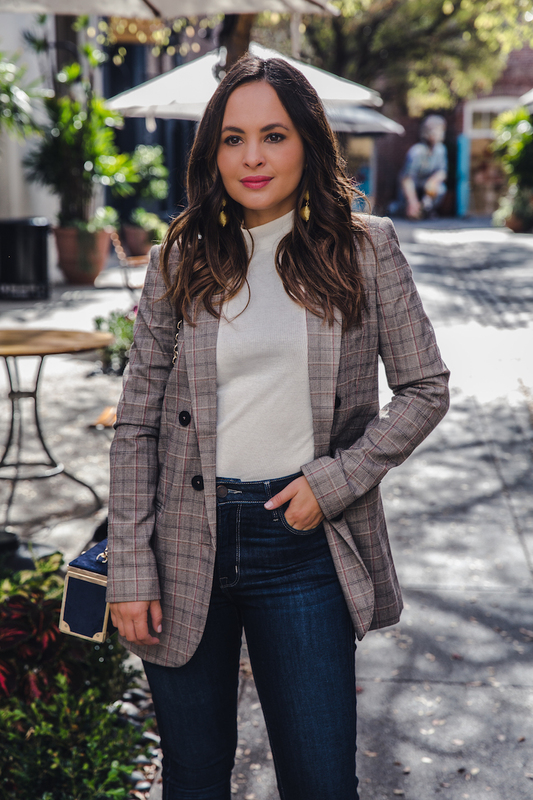 The blazer you've seen on all bloggers this season. I'll admit that this was the one fall trend I didn't mind wearing along with everyone else. 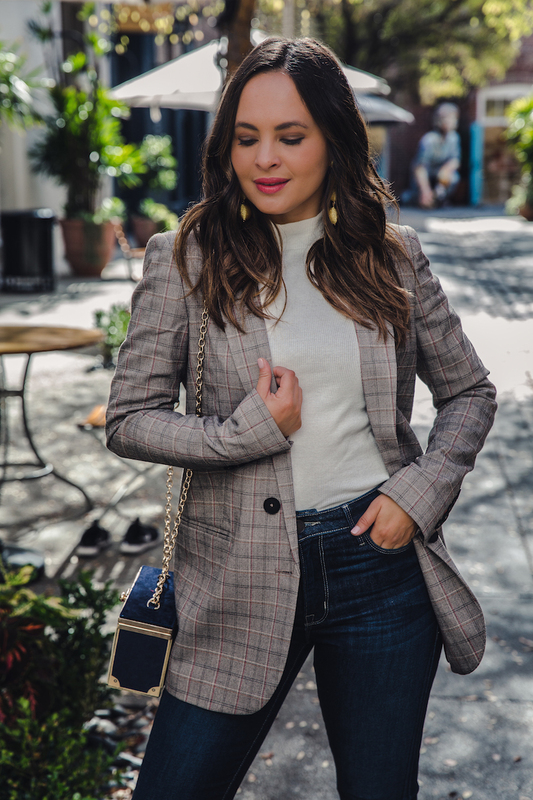 It's the perfect go-to piece for work or out with friends. I'm even thinking of styling it for a night out over a little black dress. 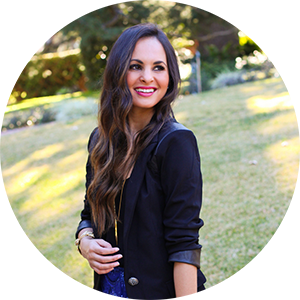 After searching numerous fashion sites, I had about six of these blazers in different shopping carts. I decided this one from Express was the best choice for price, quality, length and color for what I was looking for. Plus Express is constantly having sales! Check them out if you haven't already.